Designed to fit Pioneer DDJ-SZ/RZ DJ controllers precisely, this rugged ATA-style road case gives your valuable equipment uncompromising protection against the rigors of gigging and touring. Not only will the G-TOURDSPDDJSZRZ road case keep your Pioneer DDJ-SZ or DDJ-RZ controller safe and operating in peak form, the classic ATA flight case styling gives your setup an instantly recognizable look of polished professionalism. 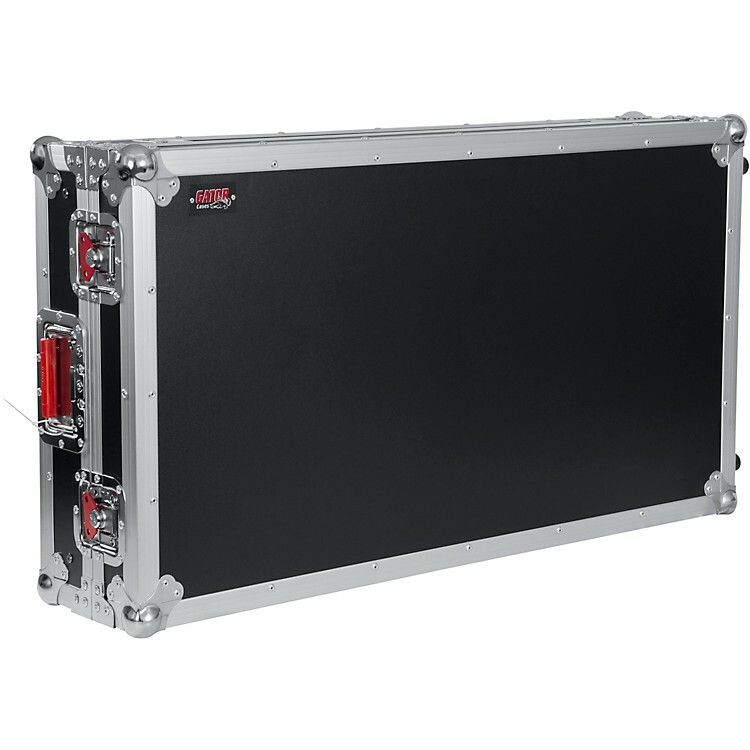 With a built-in sliding laptop shelf and smooth-rolling wheels, this pro-grade road case is the epitome of convenience. The G-TOURDSPDDJSZRZ will be a welcome accessory for any mobile DJ who regularly performs at night clubs, lounges, private parties and weddings. The G-TOURDSPDDJSZRZ road case is designed to withstand whatever punishment you can give it, thanks to its heavy-duty build. It features tour-style plywood wall construction with a durable exterior laminate and steel-ball corners. Recessed, spring-loaded steel handles make the case a snap to carry, while rugged steel butterfly twist latches are also recessed. Thick, dense EVA rubber inside the G-TOURDSPDDJSZRZ road case keeps your Pioneer DDJ-SZ or DDJ-RZ snugly in place and protects it from shock. When it’s time to take the stage, a removable front panel gives you access to your controller's inputs and headphone jacks, while integrated cable ports keep things organized and looking professional. Rugged, reliable protection for your valuable controller—order today.